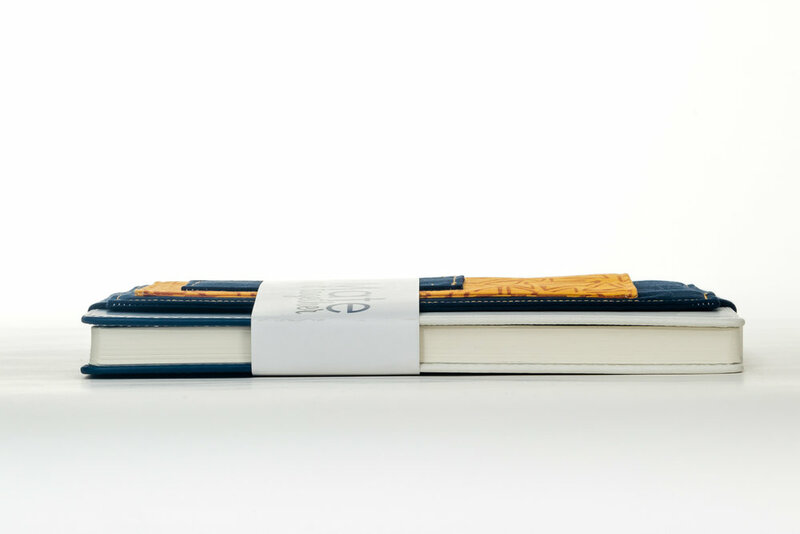 A unique accessory that turns any book into a fashionable organizer. Imagine no longer worrying about leaving your mobile device behind or searching for a pen when you need it most. 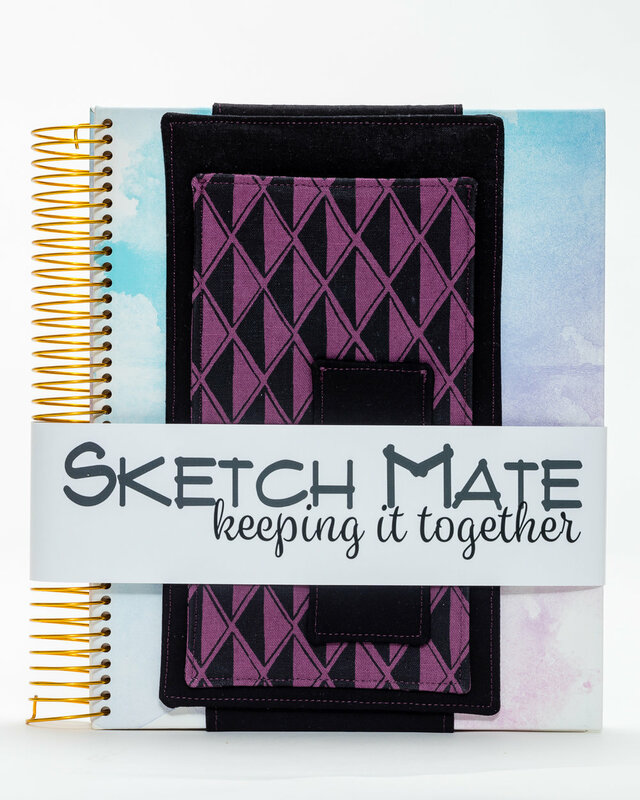 The original Mate is attached to a 8x10" lined journal. Complete with a slot for your favorite writing tools and large pocket for stowing your phone, ear buds, and other stuff you carry. Go from the classroom the boardroom with this unique organizational accessory! Sketch, draft and design in style with this awesome organizer. The pocket is big enough to hold your charcoals, pencils, or watercolors. Attached a 8x10" wire-bound hardcover sketchbook full of perforated pages of heavy stock paper. Get your draw on! Art and organization with this fashionable Mate. Keep your color pencils where they belong - with your coloring book! If you love to express yourself with color, this is your mate. Attached to a Tamara Kate Coloring Book, perfect for young and adult! Just the organization. Add it to any book in your possession, borrowed or owned. It's adjustability creates flexibility. Being organized was never so easy... or fashionable. adjective: closely and neatly packed together; dense. The design maintains a low profile, even when the pockets are full. noun: a small bag like feature sewn into something to carry small articles. Designed to provide instant access to the various items you may carry throughout your day. noun: a long, narrow aperture or slit for something to be inserted or stored. Designed to provide instant and easy access to your writing tools. This inner pocket stows various objects discretely. Access simply by opening the cover. Finished your book? No problem! Simply detach the 'Mate and place it on your next book. Features a large pocket that can hold a mobile device, earbuds, checkbook, or anything else you may want to stow. Includes an outer pocket that holds writing instruments and a hidden inner pocket for business cards or ID. Same large pocket, with a flap to enclose the objects you place inside, like your mobile device, earbuds, checkbook, etc. Includes the hidden inner pocket for business cards or ID. 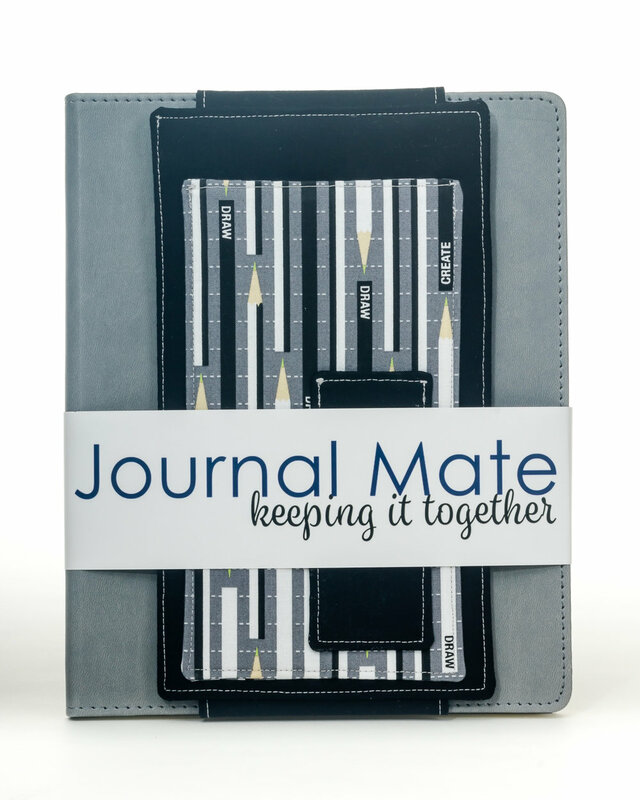 This version has a medium sized pocket to hold several writing tools, business cards, and any other small loose objects. Features the envelope closure that leverages buttons or snaps. Simple and modern. Features two pockets for the overachiever! Same large pocket securely holds a mobile device, earbuds, checkbook, etc. Includes the hidden inner pocket for business cards or ID. All +Mates are designed in the USA using materials from the USA and all orders are shipped from the USA. Assembly occurs in both India and the USA (LE models). Can I use the +Mate on other books? Yes. It's adjustable and works with any book 8"x10" or larger. We use 100% cotton material for all our +Mates, including the thread and batting. Leather is coming soon! Does it fit all cell phone sizes? Absolutely. Machine wash cold, tumble dry no heat or hang to dry. Press with iron on cotton setting. 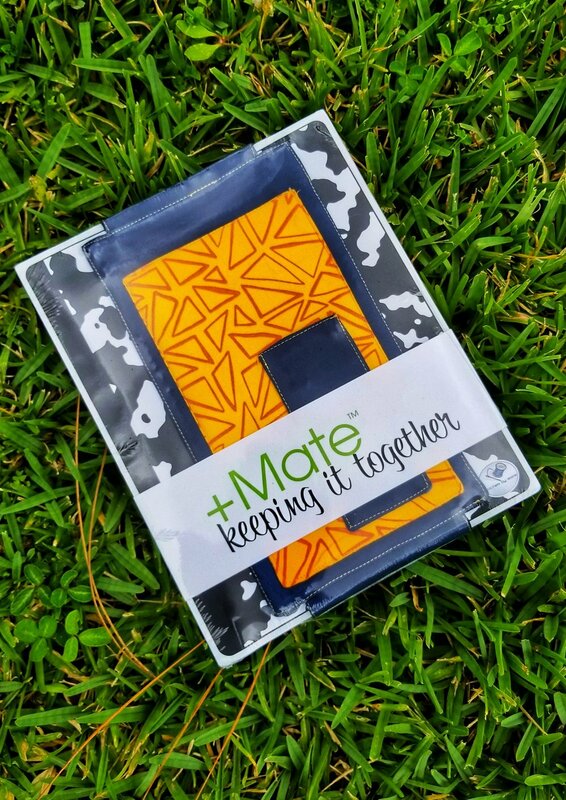 If I wanted a custom +Mate, could I order one?